Delegate Ware, Mr Bovenizer, Distinguished — and Honored — guests. A few weeks from now, we will celebrate — if "celebrate" is the right word — the one hundredth anniversary of America’s entry into World War I. I’m sure you all know the story of how and why that happened, but I’d just like to refresh your memory of the event a little bit, as there are one or two salient facts about it that are not, in my view, often enough remembered. First is that, prior to our entry into the war, the country was almost as divided as it was later to be over the wars in Vietnam and Iraq. Virginia’s own Woodrow Wilson had won re-election (barely) the previous autumn on the slogan: "He kept us out of the war," but there were a lot of people, beginning with former president Theodore Roosevelt, who saw that as no recommendation at all. They wanted us to get into the war. The period leading up to the declaration of war on April 6, 1917 was also a period of massive in-migration, most of it from Europe, to the United States, and much of that was from the countries making up what were to become the Central Powers, Germany and the Austro-Hungarian empire. Others were Russian Jews or Catholic Irishmen who had no love of the allied empires they had left behind them. New citizens from these countries were mostly opposed to America’s entry into the war and any alliance with Britain, France and Russia against Germany. The pro-war party tended to be correspondingly pro-British, and many of them, like Roosevelt, saw the U.S. as itself an emerging imperial power and partner of the British Empire (as it then was) in managing most if not all of what we now call the Third World. There was another thing that the pre-war, pro-war party had in common with the British: both believed that what was at stake for them in the war, initially undertaken by Germany and her allies against only the Russians and the French, was national honor. In the British case, this hinged on a long-standing alliance with Belgium which had guaranteed Belgian neutrality for three-quarters of a century. When German troops marched through Belgium on their way to France in 1914, that neutrality was violated, and Britain became honor-bound, in the view of the Foreign Secretary, Sir Edward Grey, and the British Parliament to whom he put the case in 1914, to intervene on what had become the Franco-Belgian side, lest she dishonor that treaty obligation — and, with it, all treaty obligations. For the pro-war party in America, the question of honor arose in connection with the German policy of unrestricted submarine warfare, reintroduced in February, 1917, after it had been suspended two years earlier in response to an international outcry over the sinking of the British passenger liner Lusitania with the loss of 128 American lives. There followed a series of incidents at sea, including the sinking of the American cargo vessels Housatonic (on February 3rd) and Aztec (on April 1st). These coincided with the discovery (through British intelligence) of the Zimmerman telegram, named for the German foreign minister who had secretly proposed, in the event of American entry into the war, an alliance with Mexico for the recovery of that country’s lost territory, then as now a part of the southwestern United States. Germany, that is, had respected American neutrality no more than she had Belgian. The British treaty obligation to Belgium was to her, at least according to the German Chancellor, Bethmann- Hollweg, nothing but "a scrap of paper." He assumed that the British were pursuing naked self-interest just as he was — at least he professed to think so — and therefore enjoyed no moral advantage for entering the war against her, ostensibly on Belgium’s behalf. This disregard for the honor culture which existed in Europe prior to 1914 set the example for other belligerents — as well as for many of the historians of the war, who had a professional interest, it might be said, in distributing blame for it evenly among the European powers. One way of doing this was to blame the honor culture itself for the war, which became a popular thing to do during the post-war period, after it first became common (it has since become even more commonplace) to speak of the war as having been fought for nothing. The French ambassador to the United States said as much in 2004, as I note in my book. And he is very far from being the only one who, a century later, simply assumes that a war for honor is a war for nothing. Whether because such a discrediting of honor had already got its start by April of 1917, or because President Wilson needed, for political or personal reasons, to appeal to what he saw as a higher, more universal standard, his message to Congress requesting the declaration of war never mentioned the word honor in connection with the United States. Nor did he make any such general assertion, as the Belgians had done, that failing to respond to Germany’s "flagrant violation of the rights of nations" would be "to sacrifice the honor of a nation." He does speak of "a league of honour," with our new allies, but, curiously, places the expression in apposition with "a partnership of opinion" — which seems to imply that, for him, the "honour" of nations depends on their having the right, progressive political views and, especially, democratic institutions, including what he sees as the new and exciting ones being instituted in Russia after the revolution of a month earlier. Wilson’s main consideration in leaving "honor" out of account seems to have been his idealistic and progressive-minded desire, apparently undiminished by his decision to join the belligerents on one side rather than the other, to play "honest broker" among the nations in arranging the peace after the war was over — which, to a surprising extent, our victorious allies in London and Paris subsequently allowed him to do. Instead of honor, he referred his auditors to a higher, universal moral standard that was, by implication, an assertion of American exceptionalism. Although he modestly said, "We are but one of the champions of the rights of mankind," he pretty clearly thought we were not as other nations were. They were fighting for mere self-interest, whether material, territorial or honorable. We felt ourselves to be, or at least Wilson felt us to be, much too morally elevated for that. We are glad, now that we see the facts with no veil of false pretence about them, to fight thus for the ultimate peace of the world and for the liberation of its peoples, the German peoples included: for the rights of nations great and small and the privilege of men everywhere to choose their way of life and of obedience. The world must be made safe for democracy. Its peace must be planted upon the tested foundations of political liberty. We have no selfish ends to serve. We desire no conquest, no dominion. We seek no indemnities for ourselves, no material compensation for the sacrifices we shall freely make. In other words, we were going to war not in defense of ourselves but of certain universal moral principles which, in his peroration, he proceeded to enumerate. "We shall fight," he said, " for the things which we have always carried nearest our hearts — for democracy, for the right of those who submit to authority to have a voice in their own governments, for the rights and liberties of small nations, for a universal dominion of right by such a concert of free peoples as shall bring peace and safety to all nations and make the world itself at last free." What is in that word honour? (he asks himself) What is that honour? Air. A trim reckoning! Who hath it? He that died o’ Wednesday. Doth he feel it? No. Doth he hear it? No. ‘Tis insensible, then. Yea, to the dead. But will it not live with the living? No. Why? Detraction will not suffer it. Therefore I’ll none of it. Honour is a mere scutcheon: and so ends my catechism. It turned out to be easier, however, to dismiss honor as a consideration in the behavior of nations or individuals in theory than it was in practice. The pacifist tendency of the interwar years, the years of Wilson’s League of Nations and the Kellogg-Briand pact for Renunciation of War as an Instrument of National Policy, swiftly lost its vogue with the Russo-German invasion of Poland in 1939 — after which Britain and France were both brought into the war to honor an obligation to an ally — and the Japanese attack on Pearl Harbor in 1941, which left no room for doubt that we entered the war, this time, in self-defense. Or did we? 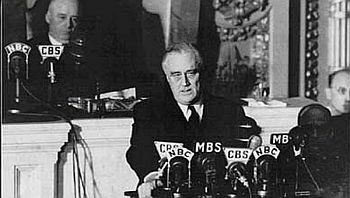 Although President Roosevelt in his "Day of Infamy" message to Congress spoke of "this premeditated invasion," as well as an "unprovoked and dastardly attack," strictly speaking, there had been no Japanese invasion of the mainland, or even of the Hawaiian Islands. Although the Philippines and a few other American-administered territories in the Pacific were directly threatened, the primary object of the attack had been to cripple American naval power and thus the ability of the United States to stand in the way of Japan’s conquest of British, French and Dutch colonial possessions in the region. In other words, it would have been a stretch to say that any vital national interest was at stake in the decision to go to war — except for our national honor, which would have suffered fatally and permanently had we allowed the attack to be made with impunity. Yet Roosevelt, too, never mentioned honor. One relic of the First World War era which survived, it seemed, was the strong cultural preference not to use the word "honor" — or, where honor itself was involved to ignore it and revert to Wilsonian language as America’s war propaganda then proceeded so largely to do. If it was no longer quite respectable to fight for one’s country’s (or one’s own) honor, it was still OK to fight for "freedom" or "democracy," even though we were allied in doing so with the dictatorship of Stalin’s Soviet Russia. On the left, it was more likely to be said not what the war was fought for but what it was fought against, namely "fascism" and "militarism" — both of whose abstract and transnational evils were often seen as being expressions of indigenous but anachronistic honor cultures of the sort that we, by now, prided ourselves on having discarded. Rhetorical war-making, at least, still depended on emphasizing our moral superiority to our enemies. By the time of the Cold War it was assumed, even by hard-headed policy realists, that American public opinion could not be enlisted to fight for anything less than universal principles. During that long stand-off with the Soviet Union, "freedom," and "democracy" continued to be conceived of in absolute terms — that is, not just our freedom or democracy but freedom and democracy as abstract principles — and they were said to have been pitted against an equally abstract antithesis called "Communism." One revelation that came out in the so-called Pentagon Papers during the Vietnam War was that the architects of our Vietnam policy had been secretly concerned with American honor. Shocking, I know. They must have recognized that actual wars, as opposed to rhetorical ones of the type that the Cold War had so largely become, have to be fought primarily for patriotic reasons — for national honor — and not for abstract moral principles. That’s why it is still more common to speak of military service as serving one’s country, rather than fighting for freedom. But the rhetorical environment of the 1960s was, as it still is today, hostile to that kind of thinking as being typical of those lesser breeds to which we had long grown accustomed to thinking of ourselves as superior. Thus, the strategists of American involvement in Vietnam never used the word "honor" even among themselves, but instead relied on such approximate synonyms as "credibility" or "prestige" — which they saw would be at risk if we failed to come to the aid of our South Vietnamese ally, just as the British had had to come to the aid of Belgium in 1914 or Poland in 1939. But even such euphemisms as these could hardly be acknowledged publicly anymore, and thus they were treated by the media as a scandal — one that, paradoxically, was supposed to have lost us great credibility in the world. Or at least with the world’s media. If I could save the Union without freeing any slave I would do it, and if I could save it by freeing all the slaves I would do it; and if I could save it by freeing some and leaving others alone I would also do that. Lincoln ends the letter by writing that "I have here stated my purpose according to my view of official duty; and I intend no modification of my oft-expressed personal wish that all men every where could be free." That is as neat a definition as I know of the proper distinction between morality and politics — which, as a great German statesman discharged from his duties by Kaiser Wilhelm put it, is the art of the possible. That’s obviously not a view congenial to progressive utopians for whom politics is the art of the impossible. Or, to be precise, the art of persuading people that the impossible is eminently possible. Their hero is not Lincoln but Bobby Kennedy, who said: ""Some men see things as they are and say, why? I dream things that never were and say, why not?" Actually G.B. Shaw said it first, but it wasn’t the only idea that a progressive took from a socialist without attribution. But there is an answer to that "Why not?" It is this: if a thing never was, it’s a pretty good argument that it never will be — something that a backward-looking honor culture would regard as a truism, along the lines of "there’s nothing new under the sun," while progressives, taking their political model from science and technology, must be equally confident in regarding it as self-evidently false, since the whole direction of our civilization appears to be toward creating things that have never been before. In this sense they are, like the positivists and "scientific" socialists before them, the victims of a false view of the world. Human institutions are not very much like machines and human societies cannot be studied as biological systems can be studied. They must be studied through their history, which is why progressive moralizing is used to cut us off from that history. People are thus made to believe that there can be no going back into a now-discredited past from the progressive march to an (inevitably) utopian future. Honoring the past is a big part of what honor means and always has meant, going back to the Biblical injunction to honor thy father and thy mother. But without an honor culture it becomes much easier to persuade the rising generation that the old man and the old lady were up to no good, even in such hitherto presumptively laudable enterprises as the Founding of the American Republic. This is why progressive historians (to me the expression is a contradiction in terms) like Edward Baptist and Robert Parkinson and journalists like Ta-Nahisi Coates and Tasha Williams are now attempting to discredit the whole American project since the beginning because its foundations (they tell us) rest upon slavery and racism. So it seems that those who merely want to use the retrospective moralization of the Civil War to ban the Confederate flag are now behind the times. It’s the American flag that should be banned, though the progressive campaign to ban it has not, so far as I know, yet begun. I hope you will take this, as I do, as the reductio ad absurdum of the progressive point of view, because it can only be a matter of time before someone proposes it in earnest. One of the consequences of the moralization of politics that Woodrow Wilson introduced us to a century ago is that we feel entitled to disenfranchise and delegitimize those whose ideas of morality differ from our own — as nearly everyone’s did if you go back a couple of centuries. And that means delegitimizing and disenfranchising the past itself. G.K. Chesterton said that tradition was the democracy of the dead — by which he meant giving the past a vote in how we do things in the present. Obviously, that would be anathema to progressivism, which is why progressivism’s success depends on cutting us off from our past and dismissing it as worthless except insofar as it anticipated 21st century morality — which is not very far. Why else is so much of the moral and political energy of the left devoted to taking the name of John C. Calhoun off a college at Yale or removing a statue of Cecil Rhodes from Oriel College, Oxford. 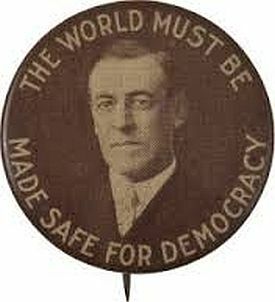 Even Woodrow Wilson — oh irony! — is deemed by the Black Justice League at Princeton University unworthy of commemoration by his alma mater. All of this makes it appropriate, I think, here in the capital of the Confederacy, to talk a little bit about the usefulness of the distinction, now so largely lost, between honor and morality — two things that are related but must remain, for the sake of intellectual clarity as well as for that of justice to what used to be called "the glorious dead," distinct. For it is only by understanding this distinction, and insisting on it, that we have any chance of resisting the progressive project to deprive us of our past and, with it, the traditions it has bequeathed to us as well as the honor that would otherwise accrue to our ancestors. Honor, like loyalty to which it is closely related, is a pre-Enlightenment virtue — which is to say, for an awful lot of people nowadays, no virtue at all. It is not too much to say, in fact, that the Enlightenment, in the shape of the Kantian idea of morality, was originally invented precisely in order to render obsolete value systems based on honor and loyalty — that is, value systems which depended on a particular social context and could not be applied universally. Before Immanuel Kant came along in the late 18th century, "duty," too, depended on social context. In fact, social life itself consisted of an intricate web of duties and obligations owed to particular people, especially parents, employers and social superiors, and their rights to expect such duties to be performed diligently. But Kant conceived of "duty" in absolute terms. He thought, and most of the Western world since his time has thought with him, that we owe a moral duty to all mankind, not just (not even primarily or, in some extreme forms, at all) to those to whom we would once have been bound by honor or loyalty — our family, our tribe, our country or our state. That’s where you get ideas like that of another German philosopher, Angela Merkel, that admitting a million or more Syrian refugees to her country was her duty according to the "ethical foundations" of her party. Kant was right, however, in finding a warrant for his more expansive view of duty in Christianity. Jesus got there first when he answered the question as to "who is my neighbor" with the parable of the Good Samaritan. Our neighbor, whom we are enjoined to love as we love ourselves, is any example of suffering humanity who comes in our way just as (so you could say) the Syrian refugees have come in Germany’s way. And ours, too. 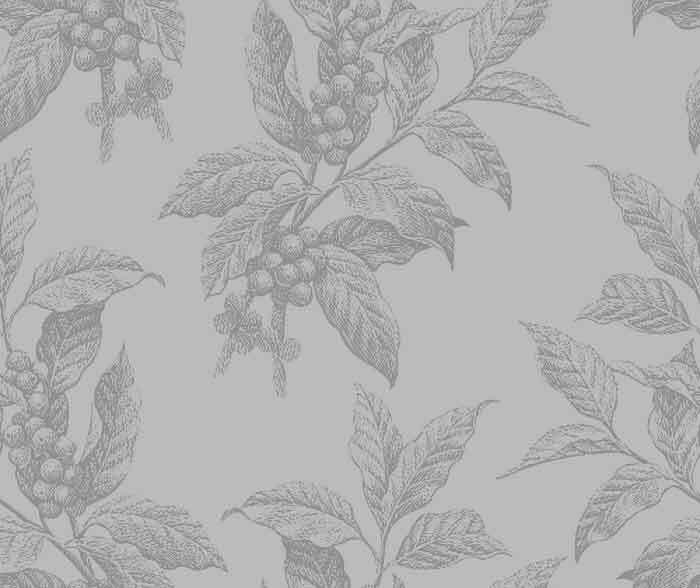 Yet for 1800 years before Kant, a belief in the teachings of Jesus had managed to co-exist with an awareness of what we might call their utopian quality and, therefore, the impossibility of taking those teachings in all cases as a guide to living in the world where people actually did live. That awareness also survived the Kantian revolution, though often surreptitiously. When Nelson signaled to his fleet before Trafalgar that "England expects every man to do his duty" he was, in effect, appropriating a Kantian universal idea for a pre-Kantian, merely patriotic purpose. But post-Enlightenment morality doesn’t really apply to the relations between nations, and the old, honorable standards do apply, though we pretend otherwise. This is what I think John Locke meant when he said that princes — that is to say, nations — always exist in a state of nature with respect to each other. The state of nature is that same, pre-Enlightenment, pre-civilized but honorable society which our ancestors understood implicitly but with which we are increasingly unfamiliar. Another way of putting this is to say, as Sir Roger Scruton does, that the "nation-state is the widest span at which it is possible to be meaningfully good." I think what he meant by this was that Kantian morality can only apply within a nation — where it does apply — but only in the most limited ways, between nations. There, we have to fall back on honor. Here in Virginia, I think, more than in other places, people still understand this because, more than other people, Virginians remain attached to their past and unwilling to be cut off from it. Although I am only a Virginian by adoption, I have always found honor rendered to the past as a way of asserting our continued connection to it one of the most endearing characteristics of the state. There’s an old joke about how many Virginians it takes to screw in a light bulb. The answer, you probably remember is ten: one to change the light bulb and nine to reminisce about the old light bulb. Virginia, as you are also well aware, is not what it was when that joke was first current, but then none of us are. And as I walked around Richmond this morning, I reflected that it must contain more statues and monuments to commemorate the past than any other city of its size in the country, if not the world. In the Museum of the Confederacy, even the souvenir flags I saw for sale were prominently labeled as being "sewn and tailored for you the old-fashioned way." But those who value the old-fashioned ways for their own sake also want to know the truth about the past, as the moralists in charge of our institutions of higher learning do not, so long as their standard of historical inquiry is not truth but ideological convenience. Indeed, you might say that it is one of the principal drawbacks of progressivism that such a blotting out of the past and its replacement with a moralized caricature of itself is apparently necessary for the progressive’s success. Students must be taught to believe implicitly in the obvious untruth that their great-grandfathers were just like themselves in their outlook on the world and that, therefore, they must have been evil men who knowingly brought evil into the world — even though many of the particular and innovative evils with which they are charged, such as racism, sexism, imperialism, capitalism, homophobia, transphobia and who knows how many more to come, were unknown to them and invented retrospectively just in order to condemn them, as well as any of their descendants who might continue to think as they thought. It’s true that I would be especially delighted in such a de-moralization of our political culture if it led to a re-establishment of the standard of honor in public life, though I regard that eventuality as being almost as utopian as the progressive dream of perfect equality. But I also believe that a recognition of the very limited role that morality has to play, or ever can have to play, in our public life would be of value in itself, since it would allow us to take up residency once again in the real world instead of the rhetorical dream-world of progressive mythology, also known by the British as the world of "virtue-signaling." You must have noticed it yourself over the last year or so as people on both sides of the political spectrum seem to have started from the assumption that choosing a president, or even a senator or a representative, is a matter not of finding someone who can best do the job but someone whose high moral standards may be supposed (just about) to match their own. The progressive demand for rhetorical conformity with the latest principles of public morality also gets in the way of a clear-sighted approach to the world’s problems, as with former President Obama’s insistence that the terrorist threat was from something called "extremism" — something that no actual extremist would ever claim, or even understand — and not from a particular brand, much in favor at the moment, of Islamic fundamentalism. The term is of course metaphorical, since all Muslims are fundamentalists in the sense that Christian fundamentalists are when they speak of the inerrancy of Scripture. But it became clear, to me at least, that the language he chose to use about it was for the purpose of persuading himself as much as others, and keeping the reality out of sight. "Reality," as always, is more reliably to be found in history than in social science. In the same way, I think we have to conclude that, even though both may change over time, morality changes more radically and more frequently than honor does. Our great grandfathers, on whichever side they fought in the civil war, never imagined that their great grandchildren would find them guilty of "racism", "sexism", "homophobia" and all the rest of it — nor, alas, that they could have so completely forgotten what, to them, had been the vital, the unavoidable consideration of honor that they found nothing to be proud of in their descent. Yet honor is still there, though it is unacknowledged, and still capable of stirring hearts with love of country. Most importantly, it is still the same, unlike the flighty and unpredictable strictures of morality that seem to change overnight. That’s because it is the only way we have to affirm and celebrate our continuing connection with the past and those who came before us in this special place, inhabited by our forefathers, which it is so natural for us to want to honor along with them.